Learn how this English teacher turned his vision into untold riches. HIS VISION. Jack Ma saw the Internet’s enormous potential to bridge businesses across China’s huge population early on. English teacher and Internet entrepreneur Jack Ma founded Alibaba 16 years ago in his tiny apartment in Hanzhou, China. In September 2014, Ma became the richest man in China on the heels of the biggest IPO in US, and possibly world history. With an initial market cap of $231 billion, the online retailer is nearly as valuable as Wal-Mart and bigger than Amazon and eBay combined. And that was just the beginning. Alibaba plans to expand aggressively in America and Europe and has already invested nearly $1 billion in a host of US-based startups, including Uber, Lyft, ShopRunner, Fanatics, Tango, and Kabam. Every current and aspiring entrepreneur and business leader should learn from how a Chinese English teacher turned a vision, a group of friends, and $60,000 into untold riches and the world's most valuable Internet commerce company. It will no doubt be studied in business schools for generations. Recognizing the importance of English, young Ma would ride his bike to a nearby hotel and guide foreigners around the city just to learn and practice the language. His passion for entrepreneurship in many ways parallels Masayoshi Son who grew up poor, followed his dream to Silicon Valley, and graduated from U.C. Berkeley before founding Softbank. As chairman of Softbank and Sprint, Son is now the richest man in Japan. He had vision…and he had help. Ma saw the Internet’s enormous potential to bridge businesses across China’s huge population early on. So he and his wife brought 17 friends together and pooled $60,000 to start the company. That formed the basis for the company’s dynamic partnership structure and unique culture designed to drive collaboration, diminish bureaucracy, and promote accountability for long-term growth. 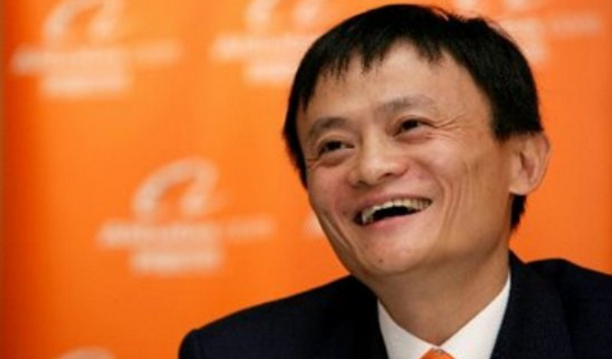 Even if crowdfunding existed when Alibaba was founded, I doubt if Ma would have gone that route. He’s simply not a “dip your toe in the water” kind of guy. Instead he and his friends went all in, raising a $5 million angel round, $20 million from Softbank in 2000, $1 billion from Yahoo! five years later, and $1.6 billion from Silver Lake Partners and DST Global in 2011. That’s how you make it big. Big problems lead to big opportunities. China’s lack of brick and mortar infrastructure has always been an insurmountable hurdle for the enormous nation’s small business merchants. Alibaba solved that and now accounts for 80% of the country’s e-commerce—a whopping $248 billion last year and more than twice that of Amazon. Innovation comes from unique individuals who think and act differently. Everyone talks about changing the world and making tons of money these days, but those who actually do it are exceptional individuals with breakthrough ideas, uncommon vision, and a passion to do great work. Disruptive innovation comes from people who break from the status quo and carve their own path. Stand on the shoulders of giants...but learn from their mistakes. Like Amazon and eBay, Alibaba is an Internet commerce company, but that’s where the similarity ends. Alibaba does not actually hold inventory or sell goods. It’s a middleman that collects annual fees and commissions from larger merchants and advertising fees from smaller ones. The result is one of the most scalable and profitable business models on Earth. What’s in a name? Less than you think. Apple. Facebook. Google. Microsoft. Uber. One Kings Lane. Fanatics. Starbucks. Whole Foods. What do the names and brands of all these companies have in common? Absolutely nothing. Some are conjunctions or made-up words. Others are common words or phrases. There’s even a fruit. It’s what your business does for customers that counts…not your name or personal brand. Jack Ma was sitting in a San Francisco coffee shop when he thought of how Ali Baba overheard the secret password of The 40 Thieves—“open sesame”—and unlocked untold riches. It resonated with his vision of unlocking the potential of China’s small and midsized merchants. Now you know the secret of how he accomplished his dream.